"Ukraine's position must be strict and consistent." The Cabinet of Ministers is stepping up efforts to recover a fine from the Russian gas monopoly Gazprom. 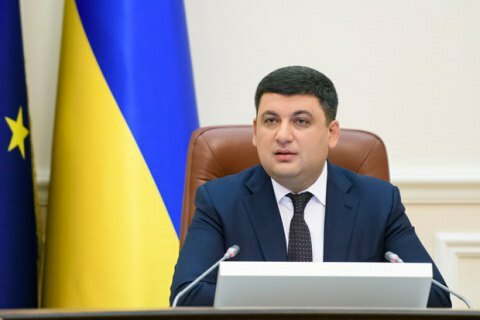 Prime Minister Volodymyr Groysman instructed the Justice Ministry accordingly, according to the government website. "Ukraine's position in the situation with Gazprom must be strict and consistent. Gazprom must honour the verdict of the Stockholm arbitration and meet the demand of the Ukrainian antimonopoly watchdog as well as Ukrainian court decisions. I discussed our efforts with Justice Minister Pavlo Petrenko today," Groysman said. "In the current situation, we must unite our efforts to make Gazprom honour its commitments. The Russian monopoly must bear tough responsibility for failed commitments," he added. The Ukrainian state-owned energy firm Naftogaz Ukrayiny said on 28 February that Russia's Gazprom would have to pay it 2.56bn dollars after a Stockholm court found in Naftogaz’s favour in the final stage of a long-running legal battle.